The Bachelor of Arts Degree in Interior Design is designed for the career-oriented student whose goal is to design large commercial and residential projects that require a more technical and advanced level of design and stronger computer skills than explored in the A.A. in Interior Design Degree. 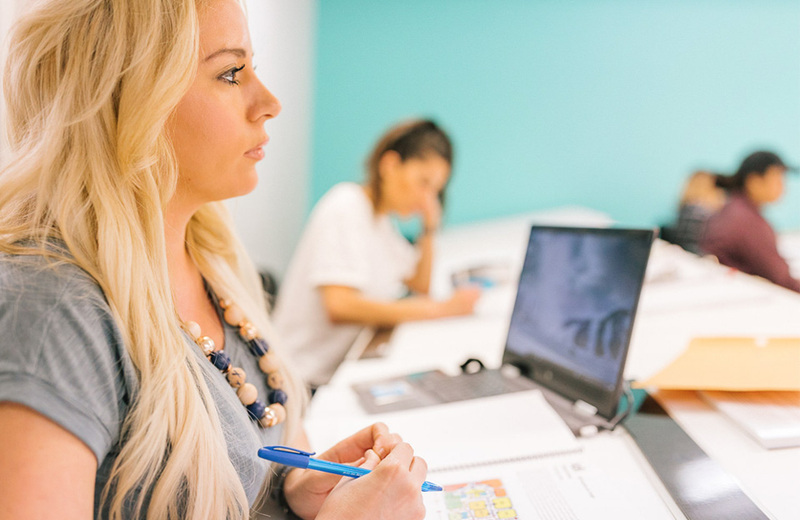 The Bachelor of Arts Degree in Interior Design Program explores advanced levels of commercial projects such as resorts and hotels, restaurants, shopping centers, office complexes, hospitals, spas and salons. Upon completion, students may also consider a design career in any of the following: hospitality design, health care, office design, retail design, set design, interior illustration/rendering, lighting design, furniture, textile and wallcovering design. The B.A. Degree in Interior Design Program is scheduled on a quarter system. The student has the option of completing this Program in 30 to 54 months. Day and evening classes are available. Upon completion with a cumulative grade-point average of 2.0 or better, the student will be awarded a Bachelor of Arts Degree in Interior Design. The Degree Program has a total of 180 quarter credit units (includes 45 quarter credit units of general education from another college). This is equivalent to 120 semester credit units. To receive the B.A. Degree in Interior Design, the student must complete the classes shown below, and 45 quarter (30 semester) credit units in general education. General education credits must be taken concurrently with, or prior to completion of, the design courses at the Institute. Upon entering the Institute, each student will consult with our staff to determine the status of any prior general education courses. These credits must be taken at an accredited institution recognized by the Department of Education. A grade of “C” or better is required to transfer credit. A suggested list of general education courses is on pages 5 and 6 of the Catalog Addendum. Students wanting more information should contact the Institute.